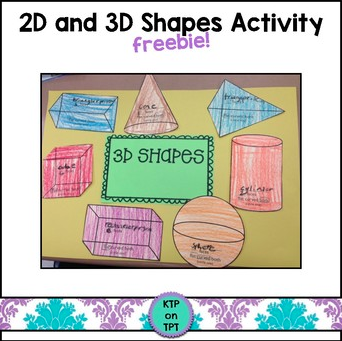 This download contains 2 pages of 2D shapes and 2 pages of 3D shapes. We used these shapes to make posters as a review before we started our Geometry unit. It's a very simple activity, but my kiddos had fun with it! Each shape has a spot for your students to write in the name, along with a few key vocabulary terms. For the 2D shapes, we wrote the number of sides and vertices; for the 3D shapes, we wrote the number of faces, along with if they were flat, curved or both. Hope you enjoy! Would love your feedback!